Where to find Sequim hotels near an airport? 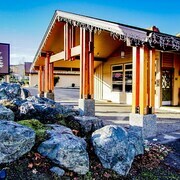 Where can I find hotels in Sequim that are near tourist attractions? Searching for a great place to lay your head in Sequim? At the moment, Expedia's extensive database features 10 places to base yourself within a short drive of Sequim's downtown area. 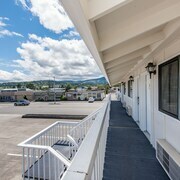 The Sundowner Motel, is an ideal choice for travelers because it the most centrally situated hotel choice in Sequim. 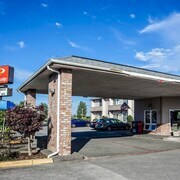 0.9 kilometres (0.5 miles) away from the center of Sequim is the Econo Lodge Sequim. 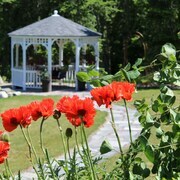 This is a an excellent option for visitors who are on a tight budget. Another no-frills hotel in this area is the Days Inn and Suites Sequim. 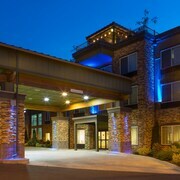 Check out the Lost Mountain Lodge and also the Holiday Inn Express Hotel & Suites NORTH SEQUIM. The Lost Mountain Lodge can be found 5 kilometres (3 miles) from the center of Sequim. 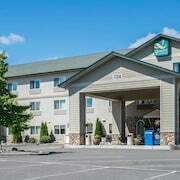 The Holiday Inn Express Hotel & Suites NORTH SEQUIM, is situated 2 kilometres (1 mile) away. 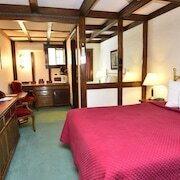 Two other options are the Amber Lights Bed and Breakfast and the Quality Inn & Suites at Olympic National Park. For those who'd like to experience more of the beaches and forests in this part of United States of America, you may choose to plan extra time in other parts of Washington Coast. You could tour the region's sights or have a go at hiking, quad biking and shore fishing and then find a comfortable hotel. Forks is 95 kilometres (60 miles) to the west of Sequim and is where you'll find Bogachiel State Park and Forks Timber Museum. If you'd like to spend a few nights in Forks, be sure to check out the Miller Tree Inn and The Dew Drop Inn Motel. 25 kilometres (15 miles) to the west of Sequim, is Port Angeles, which is home to the Red Lion Hotel Port Angeles and Quality Inn Uptown. Should you choose to stay in Port Angeles, set aside some time to check out the Port Angeles Dream Playground and Port Angeles Fine Art Center. Our travel listing is a very good way to learn more about Sequim. What are the most popular Sequim hotels? Are there hotels in other cities near Sequim? What other types of accommodations are available in Sequim? 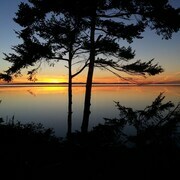 Explore Sequim with Expedia.ca’s Travel Guides to find the best flights, cars, holiday packages and more!